In the world of Halo, Master Chief is a super soldier outfitted with one of the most advanced sets of body armor ever produced by mankind. 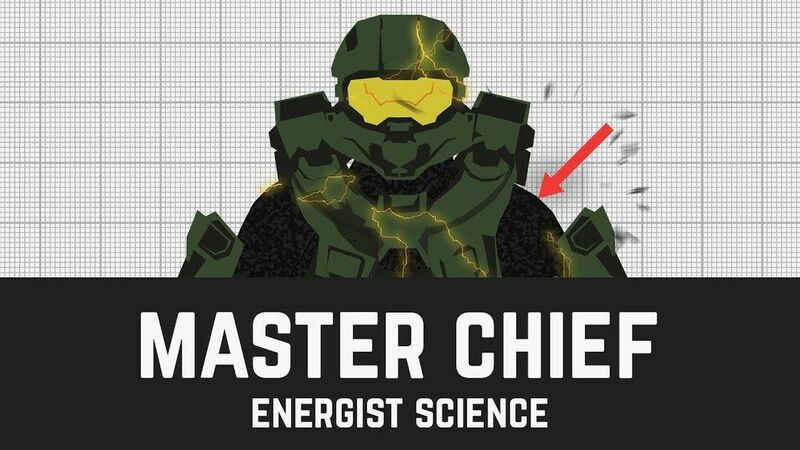 So how bullet proof if Master Chief? Master Chief Doesn’t Want to Die. Plants are naturally amazing little machines – so giving them a bionic leg-up could unlock a whole new range of abilities. 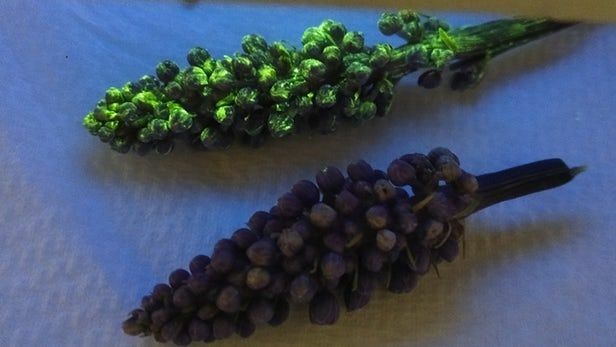 Now a team of researchers from the University of Melbourne has developed a new way to turn plants into nanomaterial factories, which could allow them to act as chemical sensors or even allow them to survive in harsh environments, such as in space or on Mars. You might think we’re not in Texas anymore but in some strange episode of Black Mirror, the Netflix series, says Nikos Acuna who is moderating this SXSW panel on transhumanism. In fact you’d be forgiven if you did as there is talk about cryo-preserving the body after being declared dead, in the hopes you can be resurrected when the science is here to safely defrost your body and cure you of your ailments. There is also talk on mind uploading, and replacing parts of our brains with neural prosthetics. This all sounds like science-fiction but these days the stuff of science fiction has become fact. 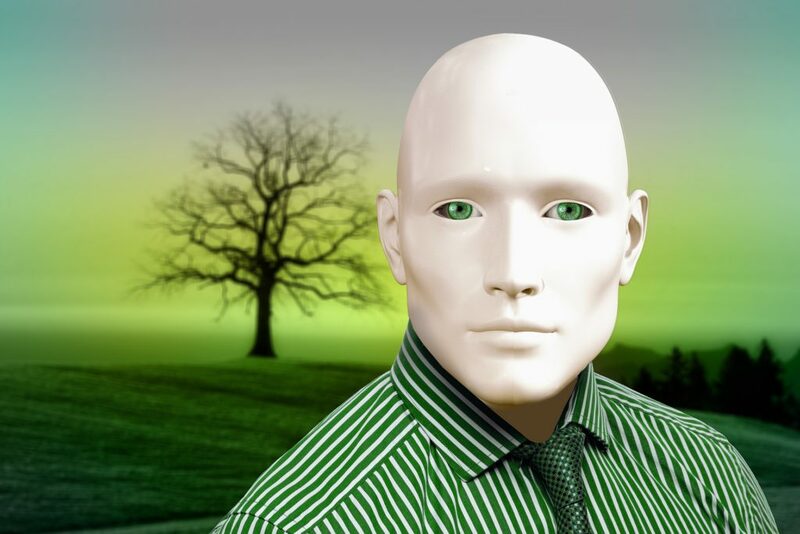 Transhumanist technologies are about overcoming the limitations of human biology and Dr Max More and Dr Randal Koene are at the forefront of these technologies. Can human roles in retail survive the relentless march of the robots? Much of the current debate on automation focuses on the possible demise of existing jobs and the spread of automation into service and white-collar sectors – and retail is certainly one industry poised to follow this automation path in pursuit of the next driver of profits. From the advent of the steam engine and mechanisation of farming, through to the introduction of personal computing — jobs have always been automated through the use of technology. However, as new technologies have come to market, human ingenuity and the ability to create new products and services have increased the scope for employment and fulfilment. Retail has enjoyed enormous benefits from technology tools, but has the time come when automation poses a threat to jobs? Here we present two possible scenarios for retail 2020–2025: one where automation eliminates the majority of retail jobs and a second which sees the emergence of new paid roles in retail. By 2020, in-store robots walk the aisles to guide customers, help order from another branch, and bring goods to the checkout, or your car. Artificial intelligence (AI) personal assistants like Siri and Alexa have become personal shoppers, with perfect knowledge of customers’ tastes and preferences. This allows for development of retail algorithms to recommend the perfect item before shoppers even know they want it. The algorithms offer recommendations drawing on databases of consumer preferences (i.e. Amazon recommendations), social media, friends’ recent purchases, and analysis of emerging trends – with our AI assistants providing our profiles to help filter and select the appropriate offers. 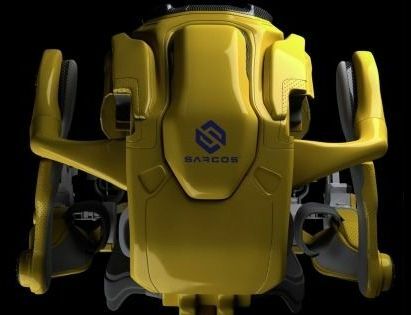 The partnership could greatly enhance the productivity of a single officer in the field and decrease fatigue or strain — but the USSOCOM didn’t reveal the exact intended use case for the exoskeleton, which lets the wearer heft 200 pounds (90 kg). It’s the latest sign that exoskeletons are finally hitting the mainstream. Automobile manufacturers are already considering the use of simpler exoskeletons on factory floors. And the Food and Drug Administration approved a lower-body exoskeleton last year for use by people with lower limb disabilities. The last two decades have seen a great upswing in commercial space endeavors with hundreds of new companies formed and a few prominent billionaires entering the fray. This is all good, but it remains devilishly hard to make money in space without tapping into government space markets. Nevertheless, I’m a firm believer that the commercialization of space is absolutely essential for the growth of the space economy and achieving all of the goals we espouse for human activities in space. So, what do I mean by commercial space? This has been a great topic of debate ever since NASA initiated the commercial cargo and commercial crew programs. There are many definitions and which is appropriate depends on the context. The real distinction is between the public sector and the private sector. Any given space activity can include a mixture of both elements. The purest form of commercial activity takes place entirely within the private sector. It is performed by private-sector companies for the benefit of private-sector customers using private-sector capital. Something like Direct TV would be an example. At the other end of the spectrum is a pure public-sector activity where the activity is performed entirely by public-sector agencies using public-sector employees, entirely funded by public funds for a public purpose. An example would be SLS, but even it is not purely public as several private sector companies are employed. 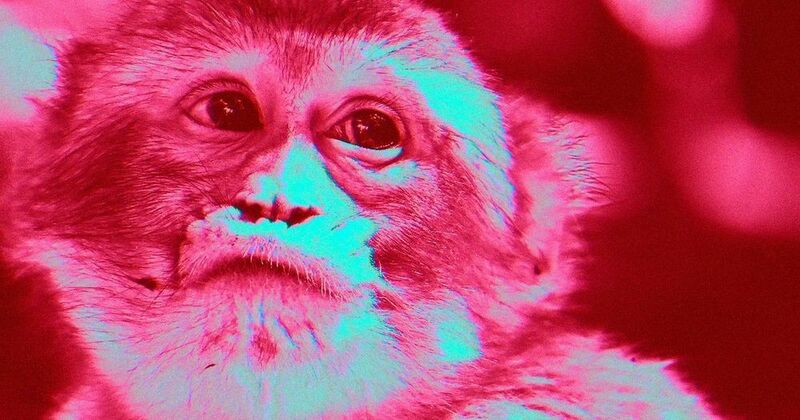 In between are all manner of hybrids involving a mix of investment funds, executing entities and customers. Last year, the Japan Transhumanist Association, a general incorporated group that aims to promote transhumanism in Japan, used Twitter to solicit volunteers for free chip implants. More than 20,000 people applied, and 20 are currently being prepared for the procedure. With microchip implants, humankind has taken a step toward what future-minded experts predict will be a world filled with cyborgs, but Japan lags behind other countries in this regard. The microchips inserted under the skin are currently limited to such tasks as opening doors and paying for small items, like drinks. Sports car maker Bugatti (Molsheim, France) used SLM Solutions’ (Lübeck, Germany) metal additive manufacturing technology to produce automotive components. The components were manufactured in the aerospace alloy Ti6Al4V in cooperation with the Fraunhofer Research Institution for Additive Manufacturing Technologies (Fraunhofer IAPT; Hamburg, Germany) and Bionic Production (Lüneburg, Germany) on a SLM 500 selective laser melting system featuring four 400 W lasers. 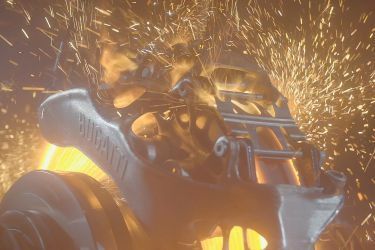 A caliper test showed that additively produced metal components can cope with extreme strength, stiffness, and temperature requirements at speeds of over 375 km/h with a braking force of 1.35 g and brake disc temperatures up to 1100°C, says Frank Götzke, Head of New Technologies at Bugatti. The test also showed that a tensile strength of 1250 N/mm and a material density over 99.7% was achieved.